Right from the heart of the Lone Star State. 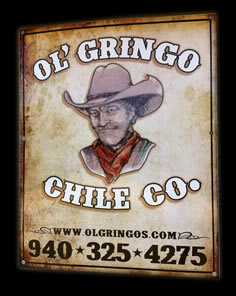 OlGringo has been making the best gourmet pepper sauces for decades. All of our sauces are quite unique with a perfect combination of heat and flavor. We use all natural ingredients ! 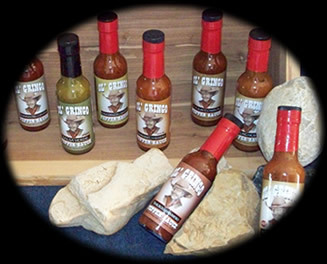 Our sauces and spices will enhance any type of grub. Try on grilled meats, eggs, tacos, fish, pizza, marinades, bloody mary's or anything you want to taste better. 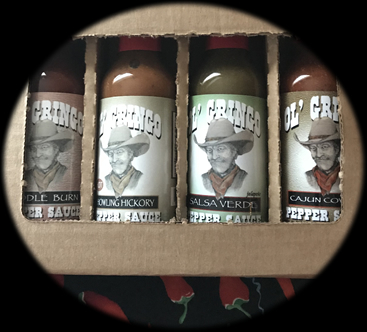 Click to Purchase Olgringo Pepper Sauce or discuss Private Label or Copack possibilities. !! Warning: This here sauce is mighty addictive !! This unique sauce has a blend of not so hot peppers that focus more on flavor and taste rather than heat. Enjoy on burgers, chile, soups, pizza, eggs and more. This blend is made from smoked red jalapeno peppers creating a rich smoky flavor. Great on all meats, beans, and also makes a great marinade. A blend of smoked red jalapeno peppers and mustard, what a combination! This sauce teams up best with BBQ, hamburgers and hotdog's, but try some on anything for that extra kick of flavor. Infused with fermented red chiles and garlic, this Ol Gringo version of the popular Sirracha flavor is surprisingly good on burgers BLTs grilled meats and rice. Created from a blend of chipotle and hickory giving it a great southern flavor. 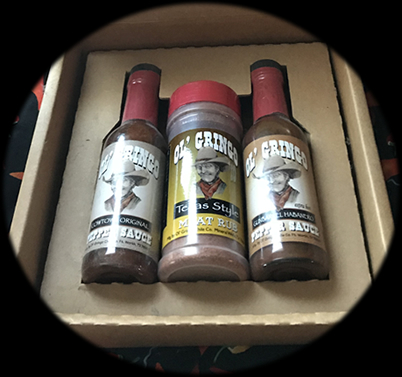 This fiery sauce is a blend of habenero, cayenne, chipotle, and "Jolokia" ghost pepper,It starts out a little smokey and sweet, then finishes with intense heat. This sauce is packed with Cajun flavor and just enough heat. Try this sauce on any meat. Marinade shrimp before grilling. Add to soup or stew to create that creole flavor. This sauce has that great jalapeno flavor we all love.